These earrings so beautiful and just the right size they will become your favorites that you wear everyday. 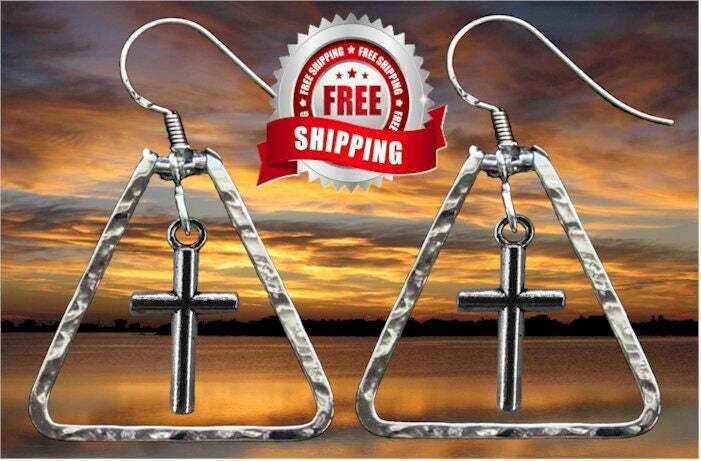 The earrings are made of a hammered and polished Square Stainless Steel Bar that surrounds the Cross. At the bottom of the ear wires the outer earring triangle measures 1 1/4” long x 1 1/8” wide. And, Stainless Steel will retain it's luster for many years to come. One of a kind unique custom design that is only available at Saint Michaels Jewelry! 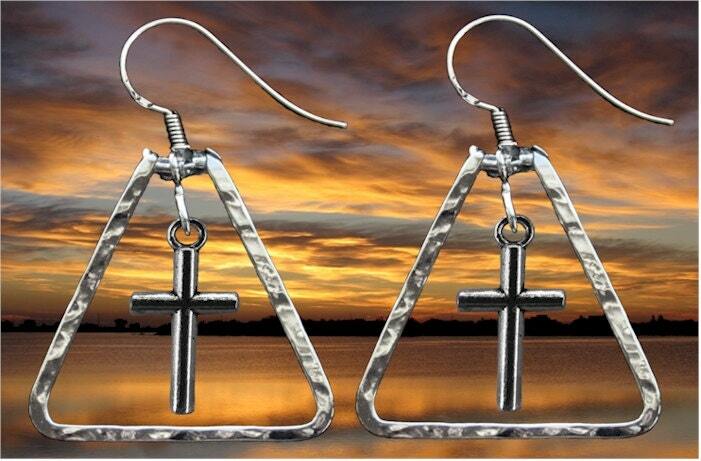 Each Earring is Hand Cut, Hammered, then polished to a High Luster to reflect light in all directions. Each Earring is Handmade and Made to Order. Each Earring is Silver in Color and comes with complementary ear wires.